Digitization is changing the way the apparel industry works. Many companies are currently changing their workflows to get the right product faster. 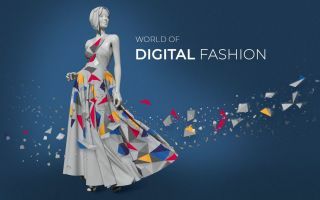 Digitization is also changing the fashion world, however, far beyond the limits of product development, production and sales. The next step will be the digitization of the customer. How will purchasing look in the future? It's obvious that the purchasing behavior of customers has changed in recent years. In online retailing, a wide range of selections and permanent availability are scoring strongly, while street store customers appreciate the personal advice - and the immediate availability of merchandise. So how do you combine these advantages? The Human Solutions Group has developed a scenario of what the store of the future may look like - and it combines the advantages of both concepts. 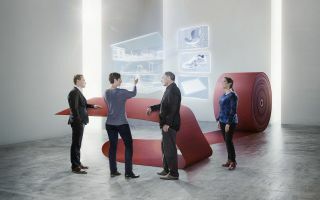 Dr. Andreas Seidl, CEO of the Human Solutions Group: "The industry has now accepted that 3D pays off in product development, simply because it gives you the right model much faster. We have taken this a step further, however, by asking the question: How can 3D data be used beyond the development and production process?" When we look at the purchasing behavior of customers, it's obvious that they've become more impatient in some ways: They no longer want to search through racks of garments, try some of them on and then have to wait in a queue at the checkout - they want to find the right product quickly. "This is why we have developed a virtual fitting session that enables customers to see themselves wearing a garment onscreen - and they can even try out different models with just a few clicks", says Seidl. The store of the future may only have a few items of real clothing available in the store. A customer decides she wants a particular dress that has a QR code. When she holds this code up to the Human Solutions "Digital Fashionboard", she can view the dress in different colors and patterns. Now she is digitized with just a few clicks: The "Bodyprofiler" app needs only four items of information to generate an avatar from the world's largest database of human body scans - and the avatar can be further customized if required. The customer immediately receives a size recommendation and sees herself in her chosen garment on the Digital Fashionboard. The size & fit check shows the parts of the body on which the garment might be too tight or too wide and a fast comparison with another size can then be made. 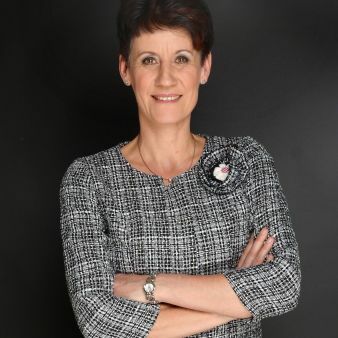 "The virtual fitting session with your own avatar can support the purchase decision and significantly reduce the number of garments that are actually tried on. Try-ons can now be completely dispensed with and this creates a completely new shopping experience with added value for the customer and the employees in the store," says Seidl. 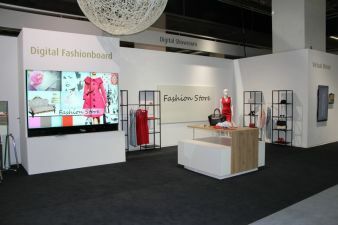 The Digital Fashionboard can also be used to visualize a range of matching accessories, information about the collection and much, much more.